" Batterie BLUE TOP "
SpiralCell patented technology is synonymous with a longer running time, a faster reloading and a lifetime up to twice as high as that of conventional water batteries. In addition, it is designed specifically to meet the challenges of marine applications. 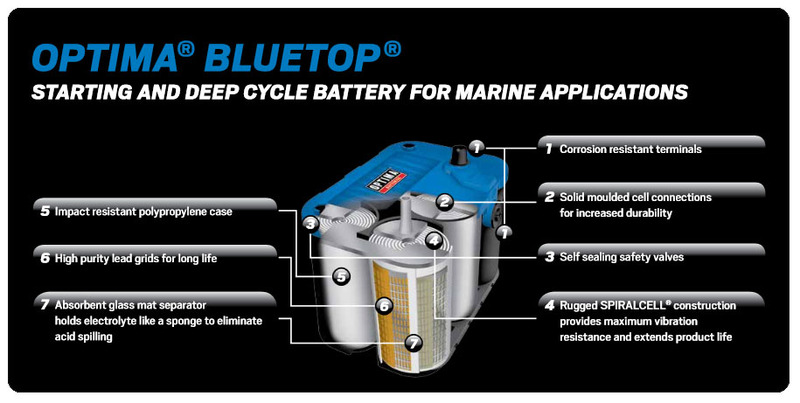 The Bluetop OPTIMA battery for leaks and requires no maintenance. Light, it can be mounted virtually anywhere, in any position. Its resistance to vibration is 15 times higher than other batteries - which is no small advantage in a boat hull! Finally, it holds its charge longer and recharge faster, thanks to its extremely low self-discharge rate. In other words, it allows a faster return on water after the offseason. The Bluetop BT BT DC 4.2 and DC 5.5 OPTIMA batteries are dual application. They can be used for all applications Deep cycle (marine accessories, domestic, marine engines, bow thrusters) or starting. The Bluetop BT SLI 4.2 OPTIMA battery is a starting battery. 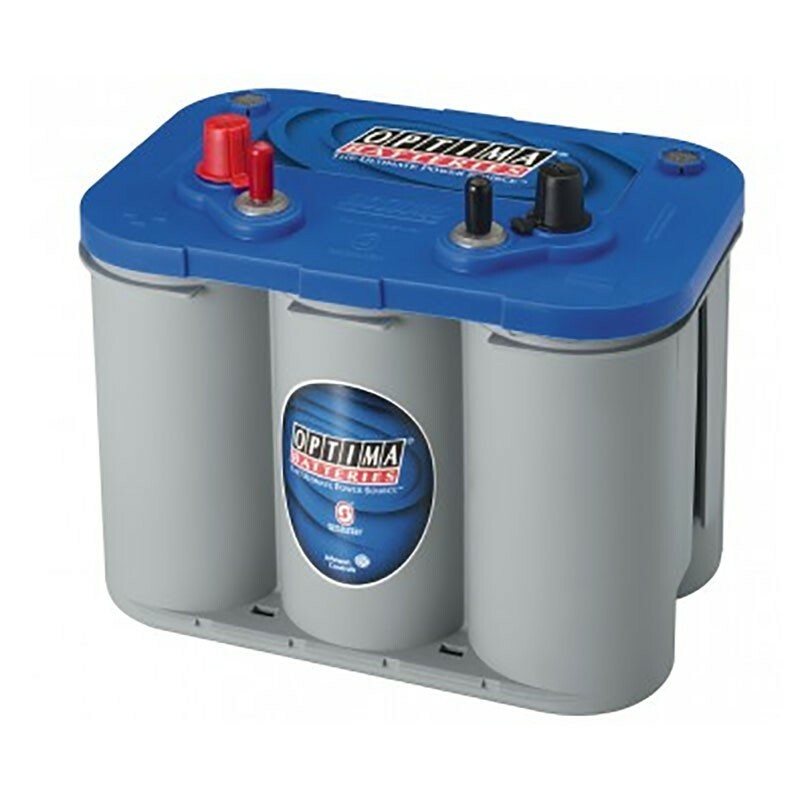 A deep cycle battery can be used for all applications, but starting batteries can not be used at startup. Starting and dual-purpose (starting and deep-cycling) models available. Lasts up to 3 times longer than other batteries. More power in the initial 1, 2, 5 and 10 seconds of the starting process than comparably rated conventional lead-acid batteries. Constant performance quality keeps your battery running at the same level even as it's being discharged. Ideal for seasonal use, fully charged it can sit unused for up to 12 months at room temperature (or below) and still provide the power necessary to start your boat's engine.